Yesterday, I had an opportunity to meet with Oculus VR at one of the company's numerous offices in Irvine, CA to discuss the company's partnership with Samsung on a piece of hardware you're likely aware of by now: Gear VR Innovator Edition. Gear VR is, for all intents and purposes, the first consumer product to ever bear the Oculus name. The company's various developer kits have never been marketed to consumers (even if some consumers do buy them), and even this new Samsung gizmo isn't going to be heavily distributed or broadly-targeted. Gear VR will only be sold online, and those sales will start in the United States by the end of the year according to Oculus. 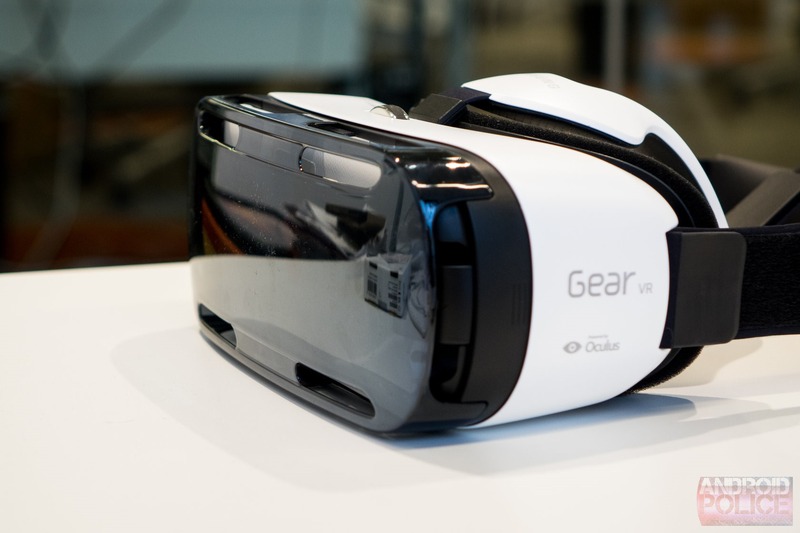 Oh, and you can probably expect a second version of Gear VR next year, designed for the successor to the Galaxy S5. The current version only works with the Note 4, and will only ever work with the Note 4, because that's the phone the hardware was designed around. Oculus and Samsung haven't commented on price or release date just yet, but you can expect that information soon. 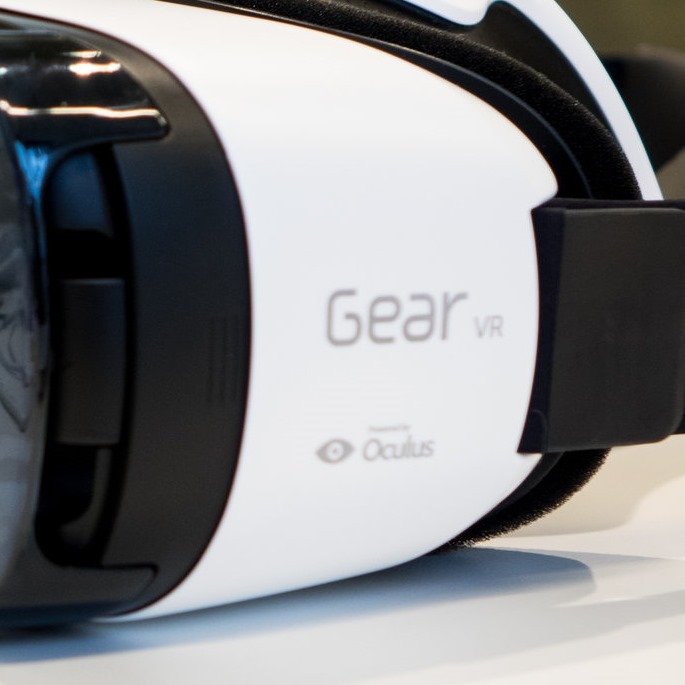 So, what's Gear VR actually like? Well, there are countless heads-ons out there on the web right now from IFA and Samsung's New York and Beijing events, so don't expect much new here. The Gear VR has a significant advantage over the currently Oculus dev kit, DK2, right out of the gate because of resolution. The Galaxy Note 4's 2.5K-ish screen offers pixel density in substantial excess of the Note 3-based DK2, meaning everything looks sharper and a bit more realistic. I had a chance to try a host of demos with the Gear VR, ranging from games to immersive simulations, movies, and panoramic photographs. All of them were, as you'd expect of any Oculus product to date, very impressive. If you've never used an Oculus Rift, it's difficult to convey just how real certain simulations can become when wearing the device. While the DK2 has the advantage of a secondary camera for head position tracking, DK1 was still very immersive - to the point that it had a reputation for giving people motion sickness and other less than favorable bodily reactions to the experience (I'm not ragging on it, that in and of itself is impressive). Like the DK1, the GearVR lacks the ability to track head position in an absolute sense, instead relying on a gyroscope setup. It works very well, and latency is exactly what you'd expect of Oculus: so low as to be basically unnoticeable. Even in pre-release form, it is quite beautiful. I also watched movie trailers inside a virtual theater (better than you'd expect! ), panned around some 360-degree photos (neat), listened to a musician fooling around on his piano in the studio (incredibly real with positional audio), and played a few other games, like one where you're the turret gunner in a WWII bomber, and another that was a 3rd-person Zelda-style hack-and-slash developed in-house by Oculus. All of the experiences were, as I have come to expect of Oculus, immersive, convincing, and added real value to the experience of VR. This is why I'm actually somewhat optimistic about Oculus to begin with, even post-Facebook acquisition. Which, by the way, has not always been a popular choice in the company, though the person I spoke to - Max Cohen, VP of mobile at Oculus and a former Googler - declared enthusiastically that the change has been a good thing overall. Given that Oculus is involved in lot of low-level technology research and development, Facebook's vast coffers are almost certainly a godsend. Many of the questions Oculus is trying to answer - for example: can the inner-ear be tricked into believing it's experiencing acceleration via artificial stimulation to alleviate VR motion sickness? - may cost a lot to solve. If they're ever solved - there's no guarantee that Oculus will ever be able to accomplish every goal it has, which allegedly is quite a laundry list since John Carmack came aboard. Facebook's acquisition hasn't been totally hands-off, though - entry security at Oculus' offices has been increased according to Cohen (I had to be escorted in, sign in, sign an NDA, verify my identity, wear a badge with my name, and then hand in that badge), to ensure what is now Facebook's technology doesn't get leaked or end up in the hands of competitors. Still, the company is surprisingly open - something Cohen says Facebook has generally been very supportive of, allowing Oculus a lot of freedom. I was even able to bring my camera. Anyway, back to Gear VR: it's something of a sidestep for a company that has been devoted to being on the bleeding edge and actively avoided a consumer launch until it deemed its product "ready." Gear VR will be launched to consumers - though Oculus prefers to call it an "Innovator [read: Explorer] Edition" - and all you'll have to do is pop in your Note 4 to get up and running. Special Oculus software will download (presumably from the Galaxy Apps store), and the interface for interacting with Oculus through the Note 4 can then be used. It's unclear if this will require an OTA update to work, but Cohen says US Note 4s should be ready to go when it launches. The reason the Oculus software isn't bundled with the Note 4 out of the box - you'll like this - is because Oculus doesn't want you to feel like it's adding bloat to your phone (allegedly, it will be several hundred megabytes worth of additional software). Aside from a primary "Oculus" app that allows you to do a few things on the phone itself like manage purchases - Gear VR, like the Rift, obviously won't be good for certain activities, like text entry - you won't see a bunch of entries in your app drawer for Oculus or your installed Oculus apps. Those will all live inside the Oculus home UI that launches once your Note is plugged in. You won't see Oculus until it makes sense to see it - when you're using it. 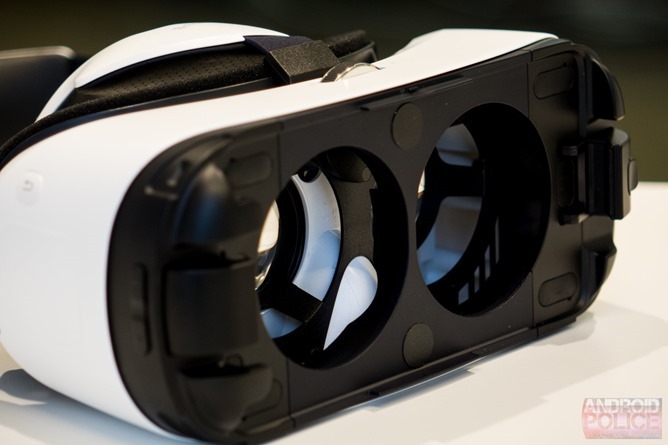 Why launch Gear VR in partnership with Samsung? Apparently, some people at the Korean electronics super-giant have been interested in VR for some time, and Samsung was the one who actually reached out with the offer of collaboration. 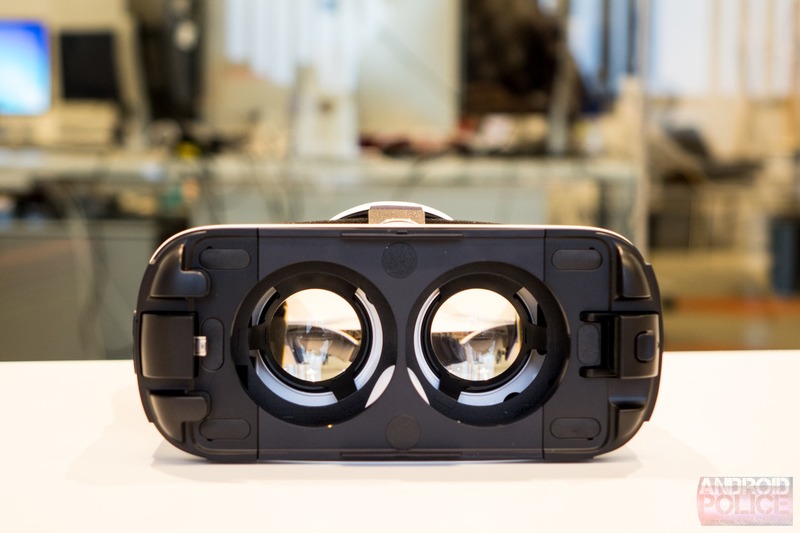 Things moved quickly, and Oculus was busy quietly handing out Galaxy S4-based prototype developer kits at GDC back in March. The Galaxy S5 LTE-A actually served as one of the company's primary internal development platforms for Gear VR before the Note 4 was being produced, because it had the same display resolution and Snapdragon 805 chipset. Samsung is now sending out the final developer hardware to some of the initial content partners for Gear VR, though Oculus says the product isn't completely finalized just yet. Improved lenses (Oculus is allegedly never satisfied with lenses, because "almost no one" is making lenses like this) and slight updates to the headset are coming in regularly as Samsung gets feedback and discovers wrinkles in production, though Gear VR will be ready to go on sale before the end of the year. Oculus and Samsung have also been working closely with Qualcomm to get as much latency removed from the Gear VR as possible, including direct access to low-level hardware on the chipset at multiple points that allows the device to operate at a perceived delay of under 20ms - which is extremely good. Oculus still wants less latency, but the Gear VR should, in properly optimized experiences, provide latency that's basically just as good as the DK2. 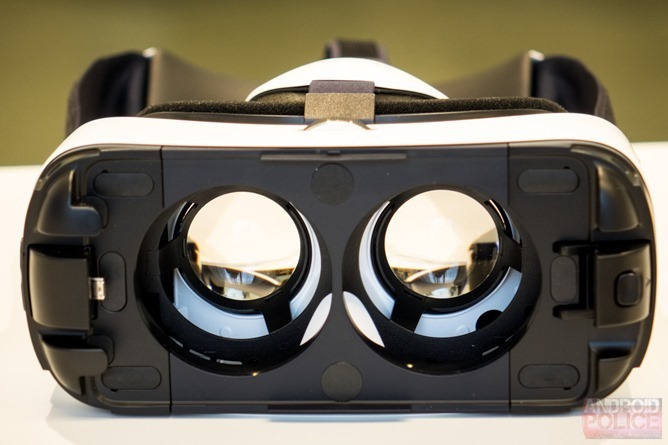 A big reason Oculus is excited about Gear VR? Resolution - the Note 4's dense 2.5K display is significantly better than the DK2's, offering greater density and a more immersive experience. Make no mistake, though, Oculus is by no means satisfied with the current state of mobile displays - Cohen says that, ideally, VR will eventually be rendered at 16K with 120Hz (or more) of refresh (60Hz can cause flicker for some people) and a wider field of view, but that's a long way off in the future. Oculus also regularly questions whether or not something as basic as a rectangular screen is appropriate for VR - why not two screens, to adjust the distance for each eye? Why not bigger screens, for better field of view? Why not round ones? Things like eliminating display persistence to the point that it is no longer perceptible at all have to be long term goals, because no other company out there is really trying to build the technology to make it happen, because only in VR is such a thing so important. That is a lot of what seems to drive Oculus, too - building support in the industry for making hardware that includes VR as a real consideration. As it stands, mobile displays, GPUs, CPUs, and software simply aren't made with this sort of use case in mind. And if it is in mind, it's very far back there. Why build a 4K mobile display? Oculus has about 8,300,000 reasons to push for one, because its hardware is so dependent on the development of relatively small, ultra-high-density screens. This is why partnering with Samsung really does make sense. Samsung wants to sell a ton of phones - if Oculus gives consumers another reason to buy them, even if that means researching a 4K mobile display relentlessly and at great cost, it may be worth it when all is said and done. That all stated, Oculus doesn't expect this first Gear VR is going to take off like crazy - it's a gen one product specifically intended for VR enthusiasts... who also own Note 4s. It's not a wide audience. But partnerships with game developers and other content producers are there - Oculus is bringing some of them over from the PC side, though many are mobile-exclusive for now, too - and that's the key. If the content can compel even some regular people into using Gear VR, that may be just enough to matter. Even if it flops, though, Oculus wants the opportunity to get it out there. 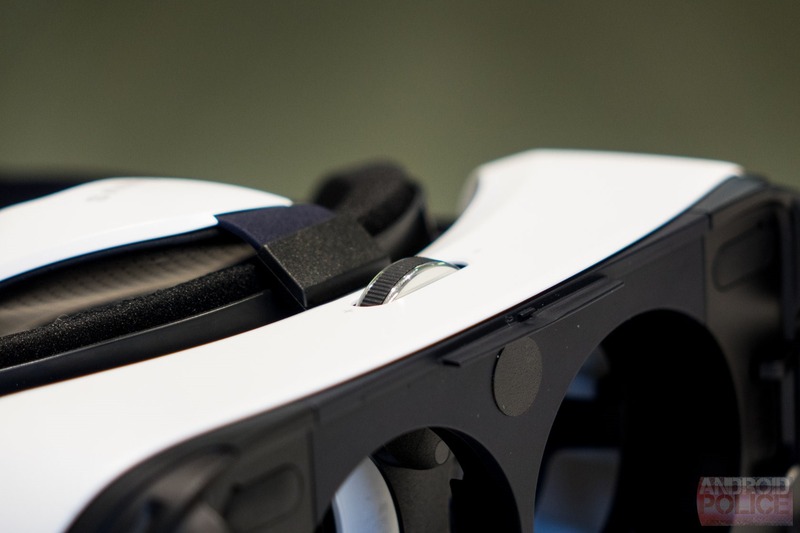 Cohen says that what's going to be really valuable about Gear VR is consumer feedback. At the moment, Oculus probably has very limited input (of any value) from people not already heavily interested in the VR movement. Gear VR will be an opportunity to change that, even if only on a small scale in the absolute sense. So, if the partnership with Samsung does crash and burn - which I certainly do not discount as a possibility - there will have been value in it regardless. Cohen says that John Carmack and his team are moving ahead with a strong focus on Oculus' mobile ambitions, in part because content developed for mobile VR much more easily translates to the PC rather than vice versa. Bringing PC VR games to mobile Oculus is, as Cohen admits, often not an easy, or sometimes even feasible, enterprise. Unity games come across pretty easily in terms of 'just working,' but assets and effects still need to be toned down for mobile hardware, and optimizations need to take place for performance. 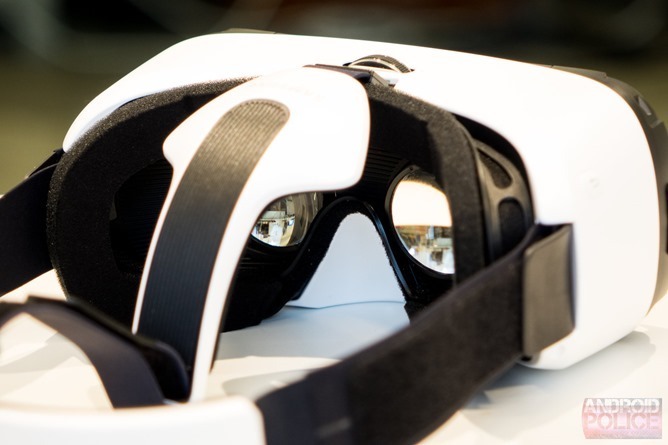 Unreal games still aren't quite ready for a full mobile Oculus experience. Going from mobile to PC, though, is much less daunting if you're using a well-supported middleware platform, because PCs have so much more power at their disposal and wide support for many kinds of software. Another issue with mobile that Cohen says will drive Oculus in the future is heat. The thermal envelope on a mobile phone's SoC is tiny compared to even a modern desktop GPU, let alone high-performance processors, RAM, and displays. When mobile devices heat up too much too quickly, they start a downward spiral - first throttling performance, then outright shutting down. Oculus has been building developer tools for Gear VR to avoid these situations, by hopefully allowing developers to custom-tune how the CPU and GPU will be clocked in their applications for optimum performance with minimum thermal impact. Further pushing the edge of performance on mobile, technologies like asynchronous time warp (a name of John Carmack's own creation) and front buffer rendering (achieved after only dogged debate with Samsung) effectively boost frame rates when the display's refresh rate can't keep up with the action. For now, these are things Oculus can't even do on the PC, because they're so hardware-access dependent. 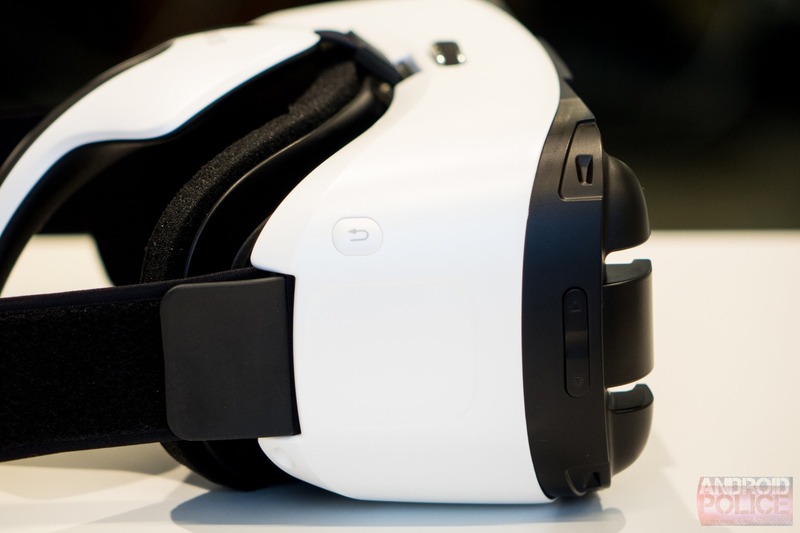 So, should you be readying your wallet for this Gear VR specifically? In this first iteration, maybe not - but the future? Oculus, and John Carmack, are going at this with real conviction, and this will be Oculus' first consumer product. It's important. Oculus' success as a brand may not hinge solely upon it, but this is the company's retail coming-out party, and I'll be watching it with great interest.